With the World Cup mania going on full speed, everyone’s eyes are now on Brazil. 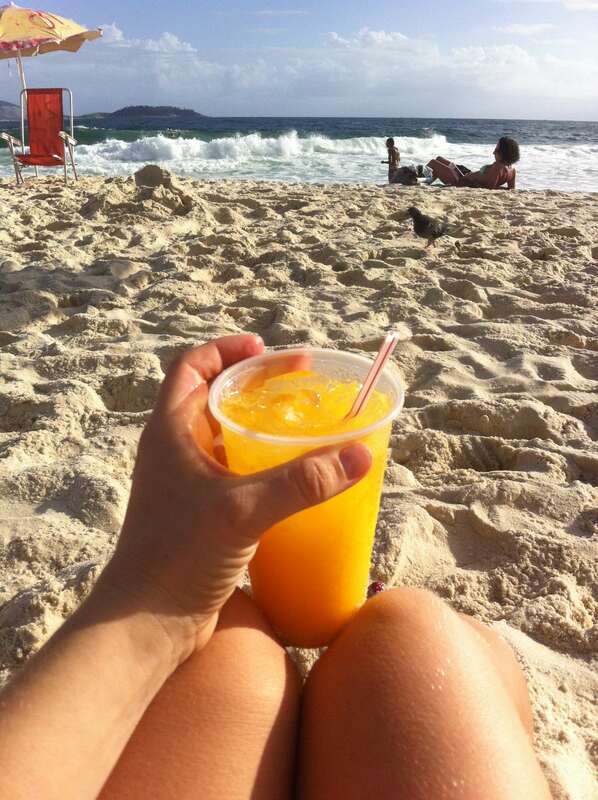 This has gotten me to think about my most recent trip to the sunny country and about one of my most memorable experiences there – the week I spent staying in the favela of Pavao near the Copacabana beach in Rio de Janeiro. 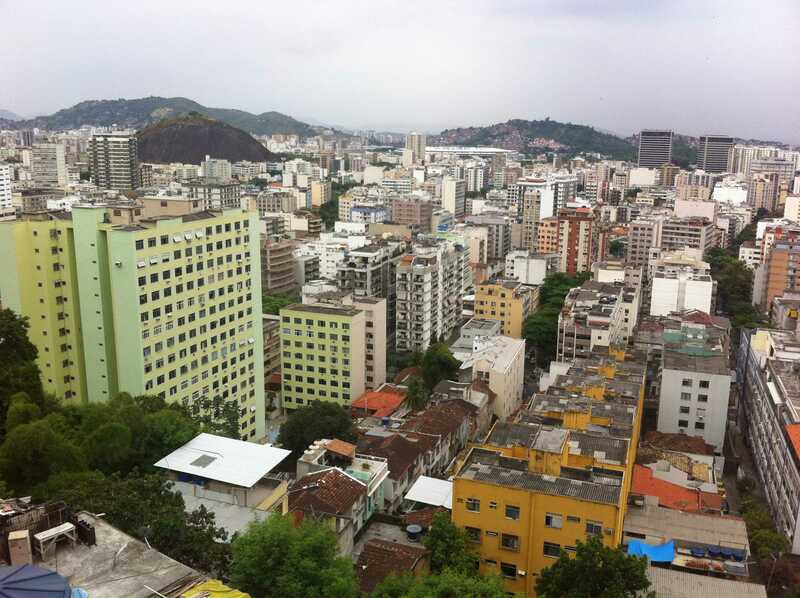 While I was immersed in the colorful life of the favela – a slum for lack of a better word in English – I was bombarded with questions from foreigners and Brazilians alike: what’s it like to stay in a favela? Is it dangerous? Scary? How do you move around there? How do the locals react when they see you? That’s why I decided to do this video that shows me making my way from our home on top of the favela down to the street level and back – a full 400 steps each way, navigating the narrow labyrinth-like pathways. The round trip generally takes about 15 minutes. Imagine if you had to climb up 400 steps just to get home! Insanity. But it definitely keeps the residents in good shape. What a crazy year it has been so far, and we are only in mid-February. Over the last seven weeks I’ve taken nine flights and set foot on eight countries on three continents. I’ve gone from dark wintery Finland to spring-like Israel, made pit stops in Istanbul and Berlin, and taken a painful 18-hour train ride through Bulgaria. In late January I got into a car crash with a motorcycle in the Dominican Republic and yet danced bachata afterward for a week in a beach festival. I suffered through a few New York snowstorms in February but escaped to Brazil just before the 14th one. I’m now under the hot Brazilian sun in Rio de Janeiro and loving it! And this was supposed to be my year of taking it easy and not traveling as much… only a few months ago I was happy to be living a somewhat stable life in NYC and was trying to convince more digital nomads to move there. So now that I’ve suddenly found myself back in the only Portuguese-speaking country on the South American continent, it might be a good time to share some of my thoughts about this land that’s known for samba, sun, beaches, favela shantytowns (one of which I’m currently staying in – and the view is lovely!) and of course the impending World Cup. These oddities appeared in my old blog, written in 2008 during my first trip to Brazil, but I’ve found that they still hold true. 1) Brazilians LOOOOOOVE meat!! There’s always a barbeque party (or a churrascu, as it’s called in Portuguese) coming up, and nope, they do not grill any tofu or tomatoes or tofu sausages here. It’s all about meat: steaks, ribs, chicken wings, chicken hearts (yep! ), sausages…. maybe a bit of fish, too. 2) Salt is DEFINITELY a favorite among the Brazilians…. they use so much of it on everything that I’m surprised they aren’t having tons of heart attacks (or maybe they are… not sure about the stats..). 3) This is definitely the promised land of all-you-can-eat buffets, and “food by the kilo” buffets (where you pay according to the weight of your plate). 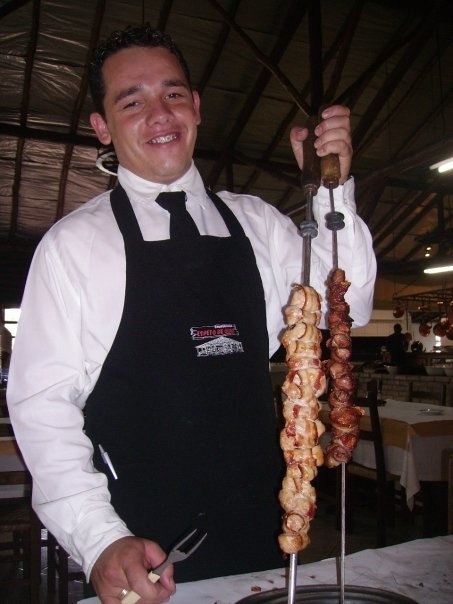 They’ve even got this cool thing called “rodizio,” a buffet that comes to you! All you need to do is sit down at a table, and the meat/pizza/sushi just appears on your plate. The waiters bring the food around every few minutes, and you can choose what you want and have as much as you’d like. Yummy! 5) Many of the bathrooms have a bidet bowl next to the toilet. It kind of looks like a cross between a sink and a men’s urinal. No one seems to know what to do with it. It’s just tradition to have one. I guess previously it was used for washing yourself up, but nowadays it seems to be just an expensive laundry basket! 6) Brazilians love all things made of manioc/yucca/cassava, the traditional root that tastes slightly like potato. Mandioca is eaten in soups, as mashed (like potato), as fried (like french fries) and even used as flour to dip your meat in… and probably in many more ways. 7) Brazilians also love their national booze, cachaça aka pinga, the main ingredient of caipirinhas. They think it’s the greatest thing ever invented. Taste-wise it’s not my favorite, but I gotta say it’s not the worst beach drink… (here as a mango version). 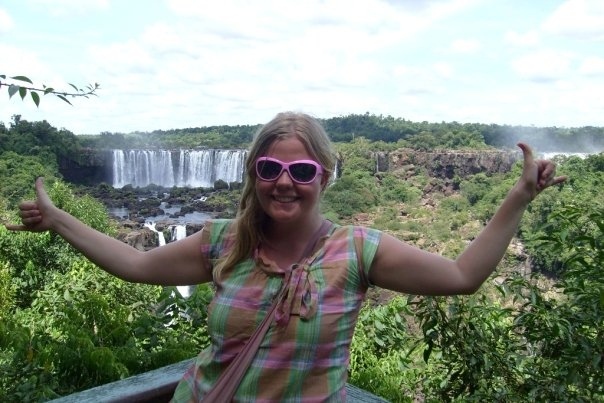 8) Brazil is definitely NOT the right place for someone who has bacteria phobia! The locals love to share everything with their friends: beer, coke, water, pinga, not to mention food. If you buy a tapioca (sort of like a taco) or a sweet corn cob, you’ll need to offer bites to all of your pals. 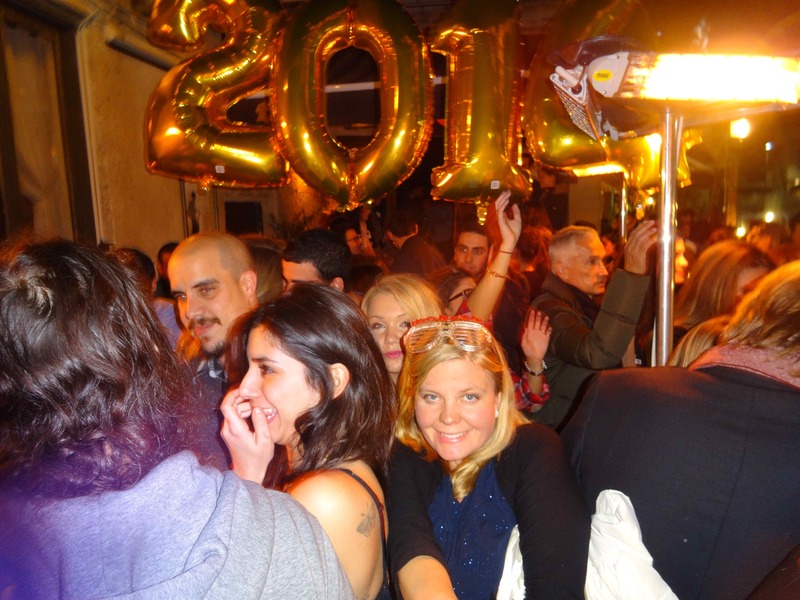 So you may even be sharing your drink or food with up to 10 people. But hey, what doesn’t kill you, makes you stronger! 😉 The Brazilian immune systems surely must be strong from all this sharing. 9) It’s fairly easy to become a true Paulista (FYI, a Paulista is a person from Sao Paulo. Carioca = Rio resident). All you need to do is spot a local “celebrity” called Fofäo on the city streets (well, more like a local loonie bin). Hahaa. 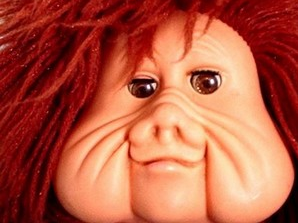 🙂 Fofäo is a scary-looking man who has injected tons of silicone into his cheeks… he got his nickname from a cartoon character who looks the same way.